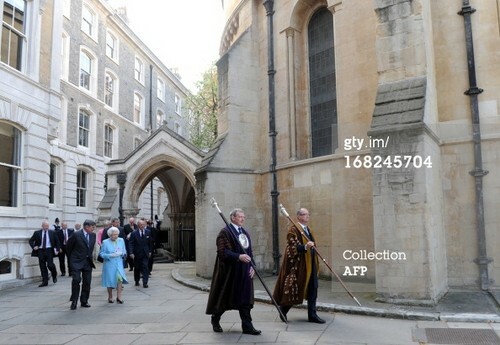 Queen Elizabeth II at Temple Church in London on May 7, 2013.. . Wallpaper and background images in the Queen Elizabeth II club tagged: queen elizabeth ii prince william. This Queen Elizabeth II photo contains mitaani, mji eneo la tukio, mijini mazingira, jiji eneo, mijini kuweka, brownstone, and portcullis. There might also be mstari nyumba, nyumba mji, safumlalo nyumba, nyumba ya mji, suti biashara, biashara suti, and fanlight.